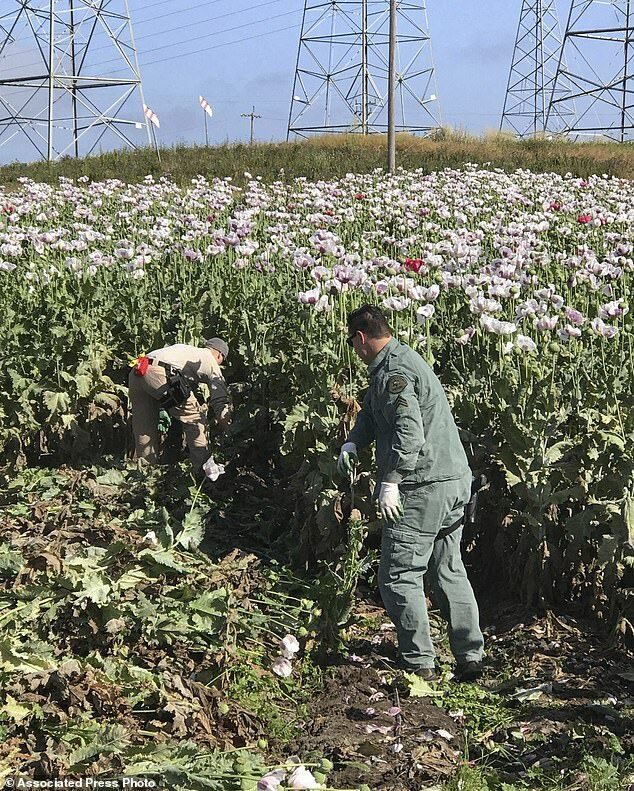 A sprawling opium poppy field has been uncovered in North California that could have produced at least four pounds of heroin per year. 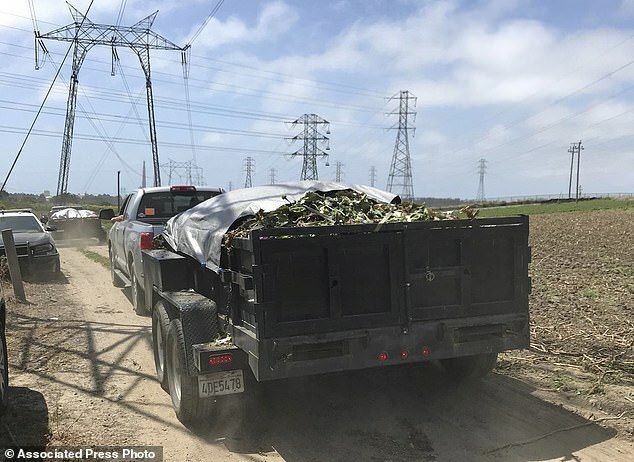 Deputies over the weekend destroyed 27,000 plants growing on a private plot next to a road and another 16,500 plants that had been harvested. Those plants could have produced a pound and a half of heroin. The Monterey County Sheriff’s Office said the same plot could have been harvested three times per year. Officials became aware of a possible opium poppy field in Moss Landing last week. 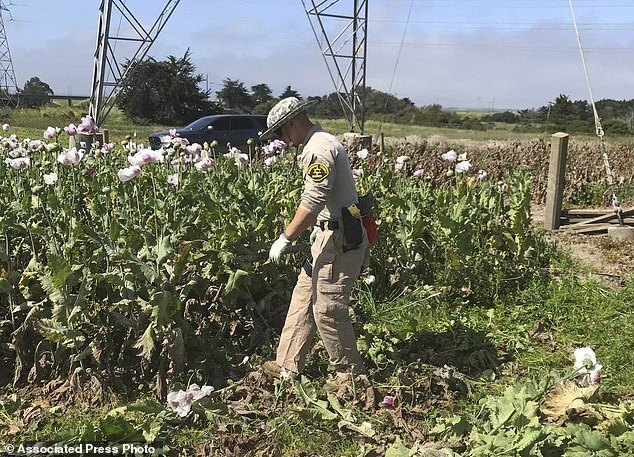 ‘Over the weekend the Sheriff’s Office Investigations Division eradicated one acre of opium poppies, which contained approximately 27,000 plants of opium poppies and another 16,500 harvested plants,’ the statement said. They later confirmed the plants were Papaver Somniferum, commonly known as opium poppies. Officials say no arrests have been made and they continue to investigate. The cultivation of opium poppies in the US itself is relatively rare, with most being imported from Afghanistan, Mexico and Myanmar.